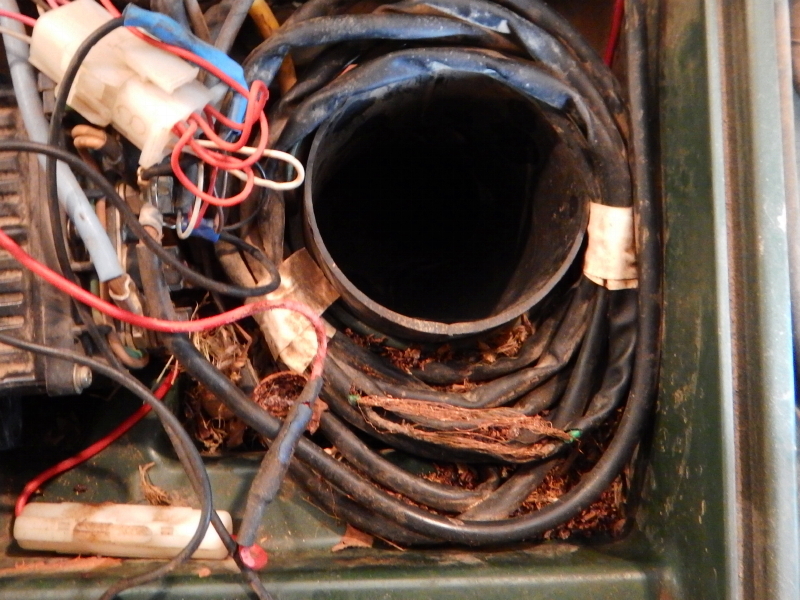 I discovered that my problem with the dead winch on our ATV wasn’t the winch or the solenoid. It all works just fine if the wires are properly segregated. What would mess with the wiring? What is the deal with mice and chipmunks that they choose to chew on wires? Does the plastic coating taste good to them? Are they trying to get more copper in their diet? The other question I have, from driving past farm after farm with equipment parked outside year round, is how they deal with the constant threat of damage from nesting critters. We leave our truck parked outside most of the time, and now when we lift the hood there is the disconcerting sound of collected acorns rolling down inside the lid. The heat tapes that our gutter installer put in the problem spots of our roof and routed through the downspout and into the garage to the AC outlets only lasted one year before rodents chewed through both of them. Maybe this explains why one of our neighbors has so many outdoor cats. A way to keep the rodents at bay.